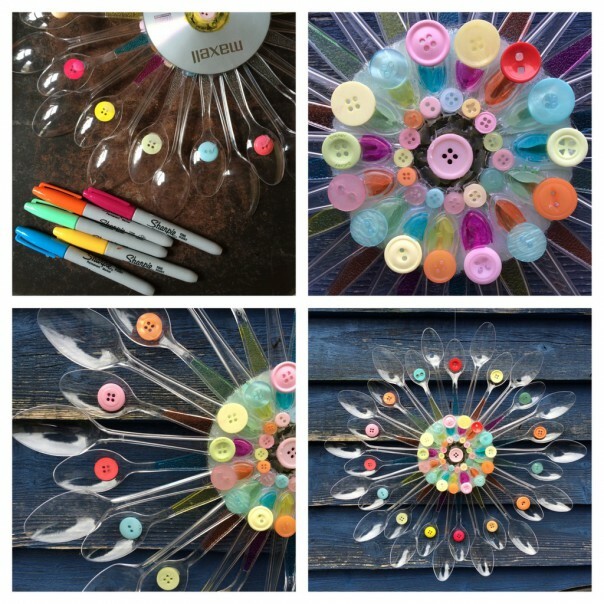 Recycle plastic spoons into works of art. We acquired a bag full of plastic spoons last week. 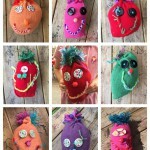 Me and the girl had the afternoon to ourselves so we washed, dried, sorted and started creating. 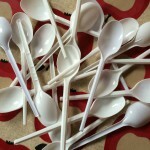 Plastic spoon project no. 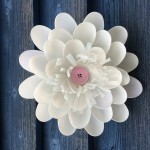 1: Daisy wall plaque. Glue the petals around the edge of the cd. Repeat two more times to fill the entire cd. Cut a long rectangle strip from the milk bottle and snip the edges to look like a fringe. 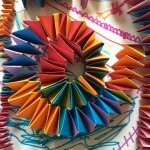 Glue the fringed milk bottle strip into the middle in a spiral. Glue a button in the middle. Glue a piece of ribbon to the back and hang on a wall. 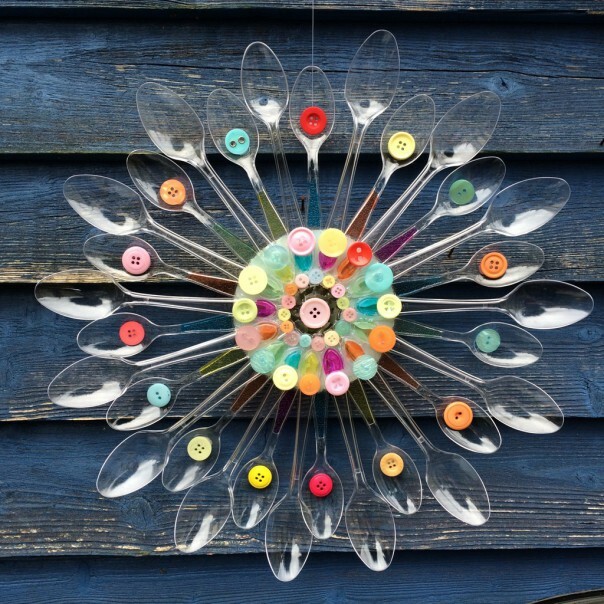 Plastic spoon project no. 2: Water lily. The girl decorated the spoons with sharpies before I stuck them together with a glue gun. 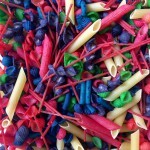 Plastic spoon project no. 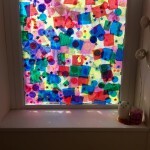 3: Spoon and button sun catcher. The girl and I had fun with this one! 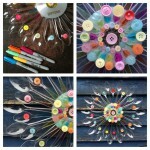 We used a cd as a base, glued buttons to spoons and used sharpies for colour. Spoons! 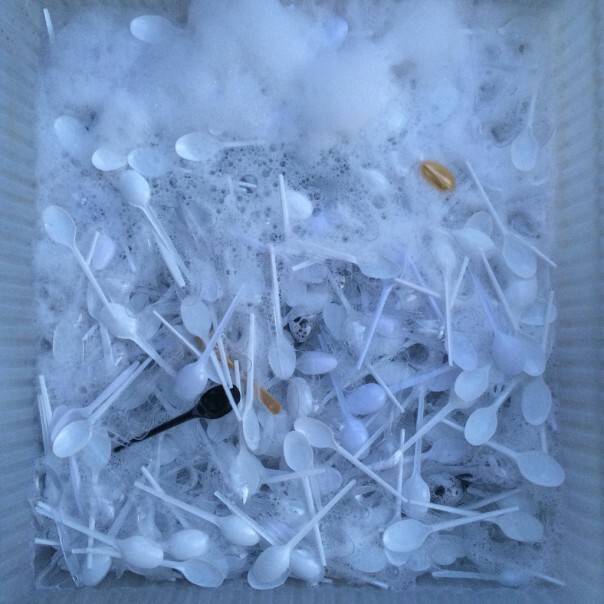 I acquired a bag full of plastic spoons and set about washing them in a big tub of soapy water. 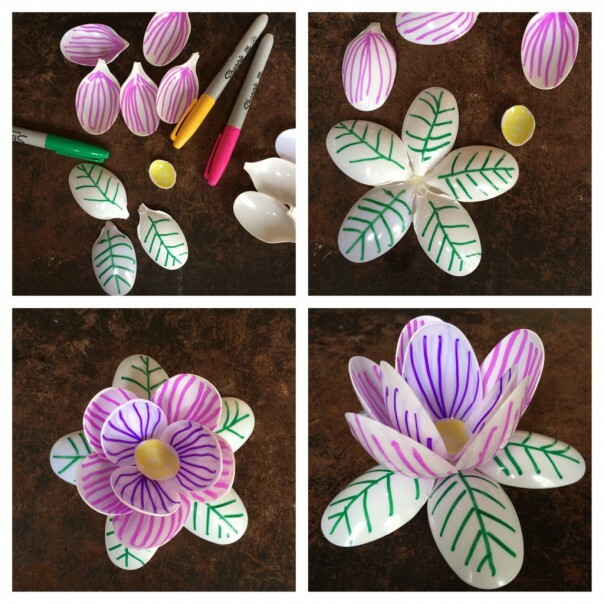 To make a flower you’ll need to break or cut the handle off the spoons. 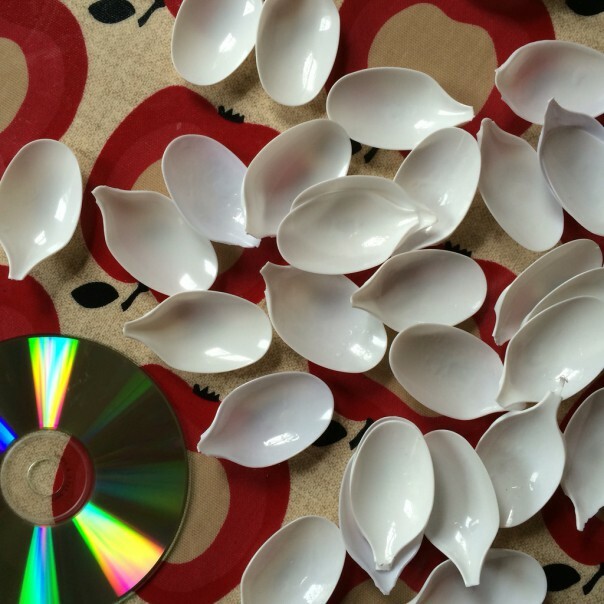 Spoon petals and a cd. 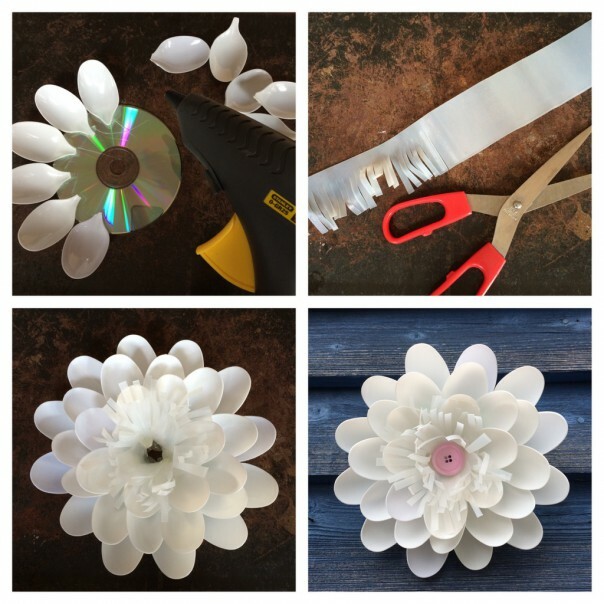 Use a glue gun to stick the spoon petals around the cd. 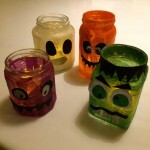 Cut a piece of milk bottle plastic into a long rectangular fringe and glue into the middle. Add a button in the centre. Spoon water lily. 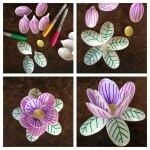 The girl drew on the spoon petals with Sharpies before I glued it all together. 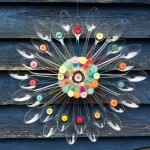 The girl and I used a cd as a base and glued buttons and spoons around it to make a huge flower. The girl used Sharpies to add more colour too. Button and spoon flower sun catcher.